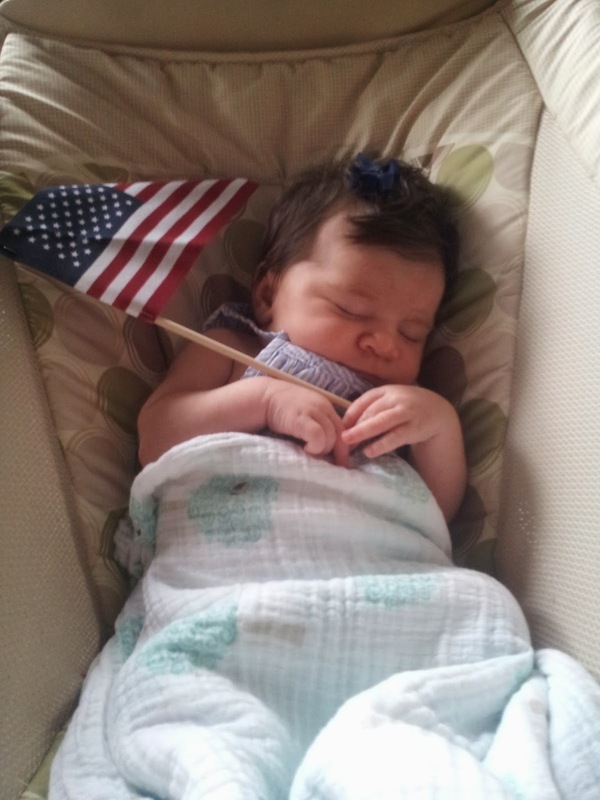 This past week I completed week two of Popsicle Summer. The first week I made a creamy Salted Bourbon Caramel popsicle that was delicious but not so healthy. So this week I decided to do a more juice-based popsicle. I'll be honest, my popsicle searches have been more about image searching popsicles and then finding the one I think looks the best. 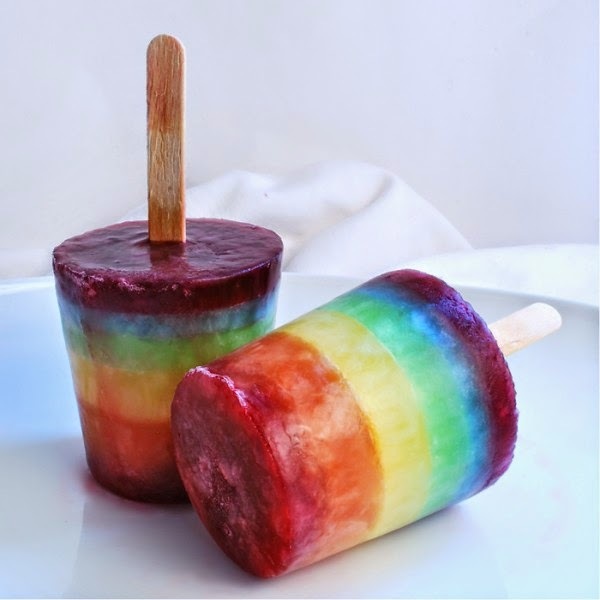 This is exactly how I decided upon Rainbow Pops. It was not my first time doing layered popsicles so I thought I would be an old pro. Ahhhh, such confidence. I tackled my Rainbow Pops on Wednesday, the same day as the US/Germany World Cup game. I got up at 8 am knowing that each layer required a half hour of freezing before adding the next layer. If I timed it just right I could be out of the house and ready to watch some soccer. 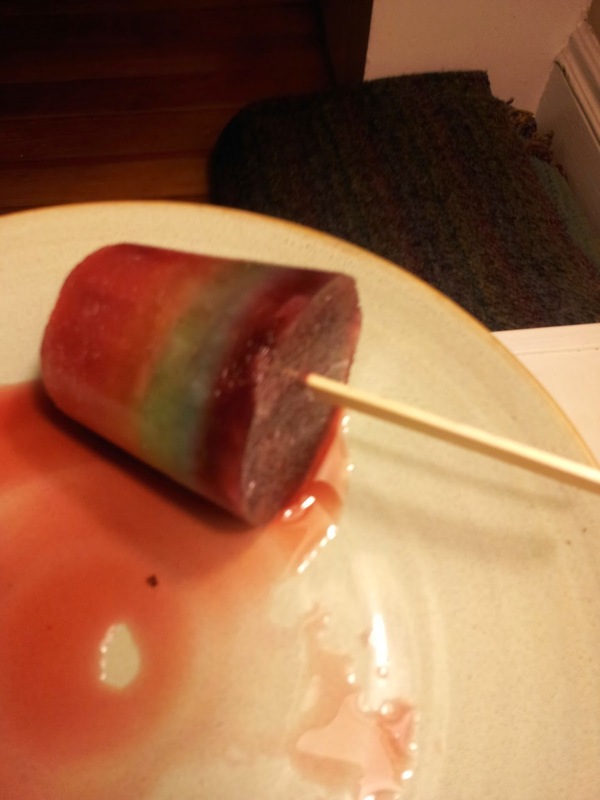 Alas, a humid day and a non-commercial size freezer thwarted my attempts at beautifully layered Rainbow Pops. It did not take 30 minutes to freeze as the recipe said...it took an hour and 15 minutes. So my first two layers, red and orange, kind of swirled together. My third layer, yellow, was successful in some pops and not others. Needless to say, I did not finish these popsicles before the soccer game. The rest of the layers happened when I could get around to it. The result? A sort-of-Rainbow Pop that was waaaaay to sugary for my tastes. 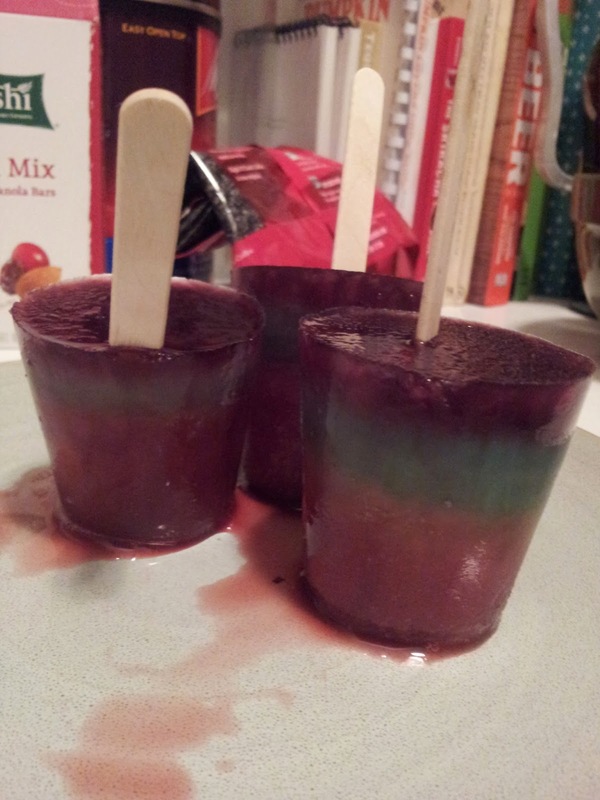 Each layer was a mixture of juice, food coloring, and a simple syrup made with light corn syrup, sugar, and water. It was just a bit much. Jessie felt the same way, Geoff loved these puppies. You can sorta see some layers in this one. In a medium sauce pan, heat the sugar and water over medium heat. Bring to a boil, and stir until sugar has dissolved. Remove from heat, and stir in the corn syrup. Set aside to cool. Red: combine 1 cup pomegranate juice, 2 tablespoons simple syrup, and 2 drops red food coloring. Orange: combine 1 cup orange juice, 2 tablespoons simple syrup, and 1 drop red and 1 drop yellow food coloring. Yellow: combine 1 cup lemonade, 2 tablespoons simple syrup, and 1 – 2 drops yellow food coloring. Green: combine 1 cup lemonade, 2 tablespoons simple syrup, and 1 – 2 drops green food coloring. Blue: combine 1 cup lemonade, 2 tablespoons simple syrup, and 1 – 2 drops blue food coloring. Purple: combine 1 cup pomegranate juice, 2 tablespoons simple syrup, and 2 drops blue and 1 drop red food coloring. 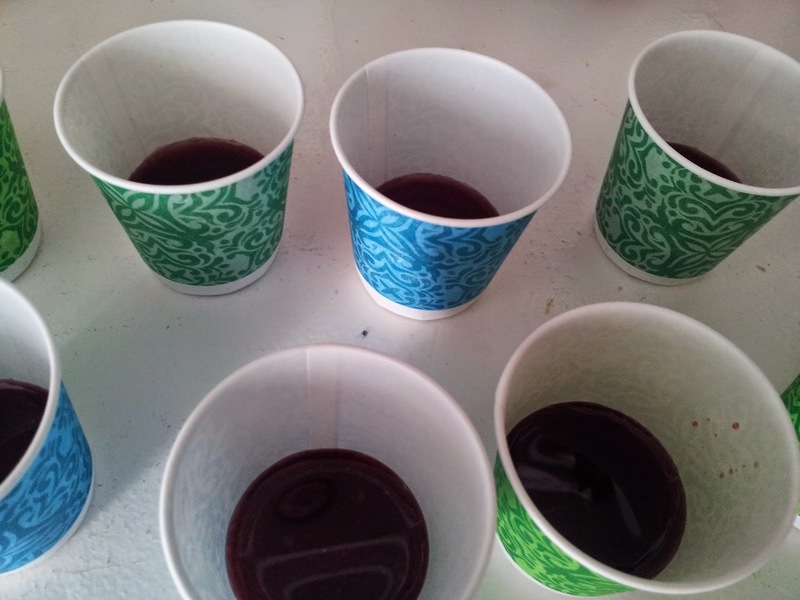 Pour the red layer into your Dixie cups, to about 1/4″ thickness, and freeze for 30 minutes. Add the orange layer, in the same way, and freeze for another 30 minutes. Place the sticks in the center (the two layers should hold them pretty well), pour in the yellow layer, and freeze for another 30 minutes. Add the green, blue, and purple layers in the same fashion. The purple will come very close to the top of the cup, so handle carefully. Allow the popsicles to freeze for 3 hours, though for optimal curing, let them freeze overnight. 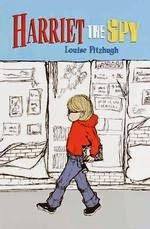 For these popsicles, I would definitely read Harriet the Spy by Louise Fitzhugh. I can just imagine Harriet licking a rainbow popsicle as she wanders around on her adventures, getting the low-down on her neighbors.